Walsh University’s online bachelor and master’s programs are available to you 24/7 and therefore you can create your own schedule. Walsh University provides its undergraduate and postgraduate online students with a Student Success Advisor who will work with them from their entrance into a program all the way through graduation. 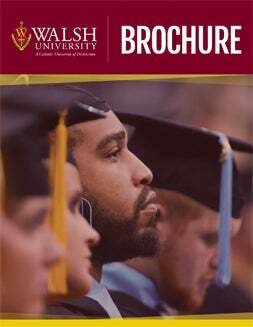 Regardless of your undergraduate degree or personal background, we want to help you achieve your goals and ambitions while being a member of Walsh University’s vibrant learning community.